The T-Rex ToneTrunk 56 Pedalboard with Gigbag is ideal for musicians who travel. 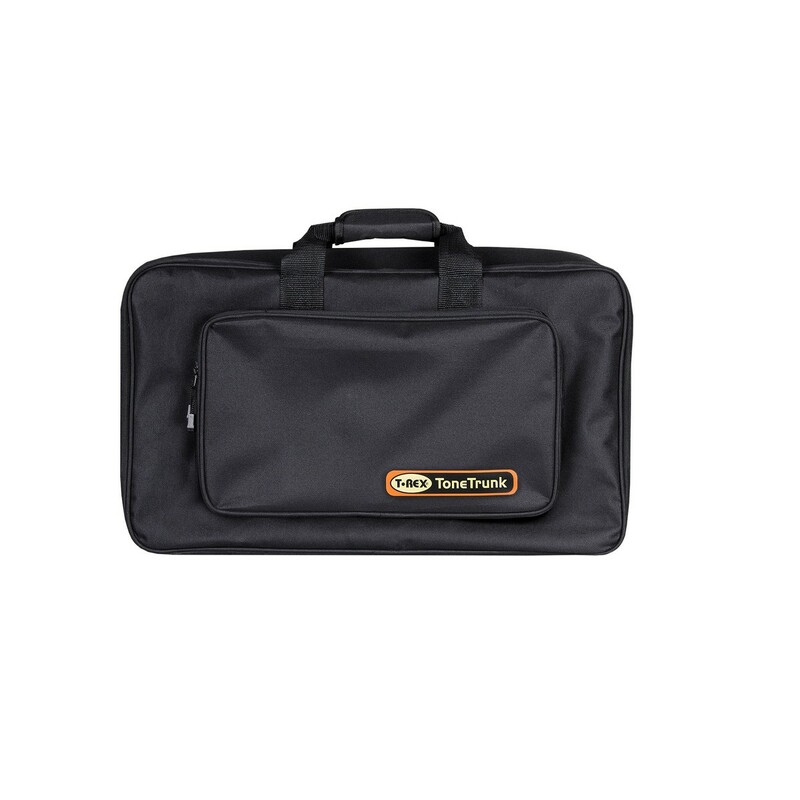 With two accessory pockets for cables, strings, accessories, sheet music etc, and an easily detachable shoulder strap, the ToneTrunk 56 Pedalboard remains protected in the soft and easily-transportable gigbag. 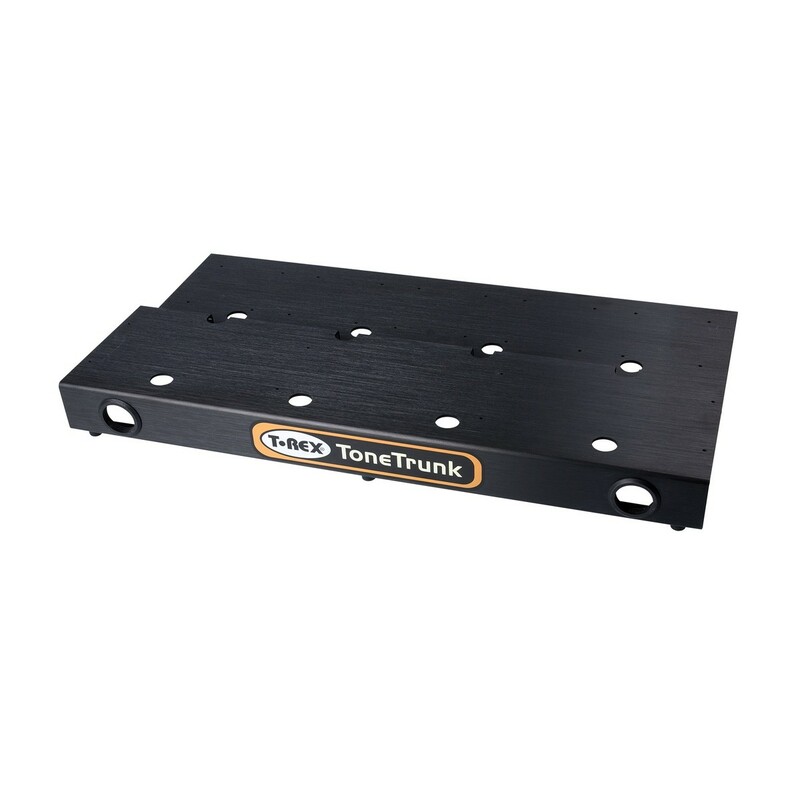 The pedalboard is made from lightweight but durable aluminium and offers a multi-tiered design. It's low profile construction and sturdy rubber feet provide easy stomping access across the entire board. 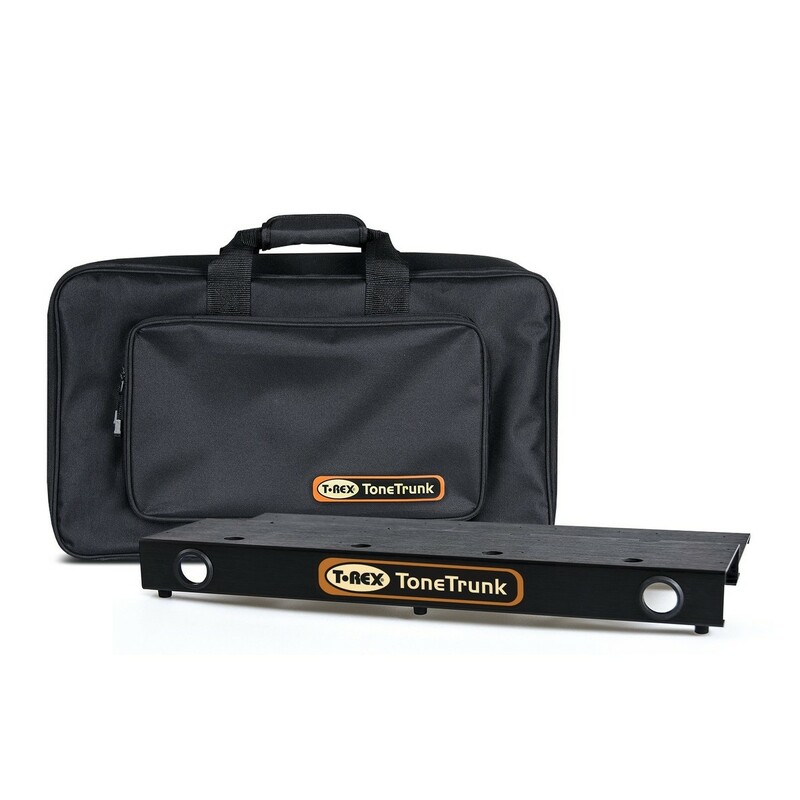 The ToneTrunk 56 includes hook-and-loop tape, a cutting tool, zip-ties and an Allen key.